I do. 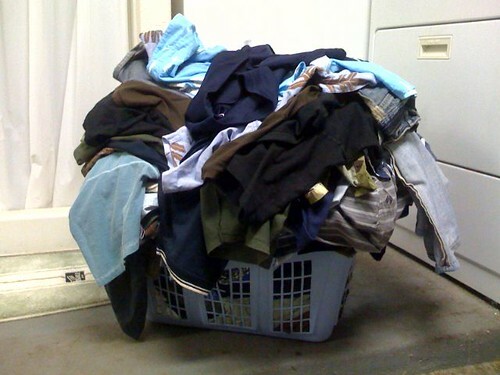 Got two baskets like this one (overflowing & bursting at the seams) and a third stacked w/ sheets & towels…. Sheesh…. We Got Spirit, Yes We Do…. Lucky! That’s how much I do per night. Too bad my laundry doesn’t miraculously get put away too. My kids change clothes 4 times a day. You don’t want to know what the electric bill is. Yikes.